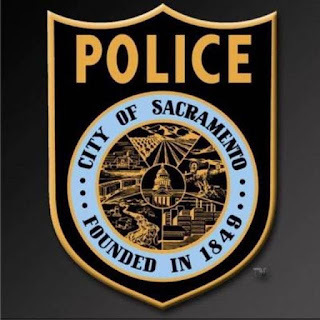 Early this morning the Sacramento Police Department responded to the 100 block of Redondo Avenue in the Noralto neighborhood on the city's north side regarding the report of shooting. Upon arrival, officers located an unresponsive male adult seated inside a vehicle parked in the driveway of the residence. Officers began life saving efforts until fire personnel arrived on scene. The Sacramento Fire Department responded to the location and pronounced the victim deceased. A male adult passenger, who was also seated in the vehicle, sustained a non-life threatening injury and was treated at the scene. Homicide Detectives and Crime Scene Investigators were summoned to the scene to begin their investigation. Based on preliminary information, it was determined the victims were parked in a driveway when they were approached by a male suspect armed with a firearm who fired multiple rounds into the vehicle fatally wounding one victim. The suspect fled the scene on foot. This investigation remains active and no arrests have been made. Detectives have not yet established a specific motive for the shooting, but believe this is an isolated incident. The identity of the deceased victim will be released by the Sacramento County Coroner’s Office. The Sacramento Police Department encourages any witnesses with information regarding this homicide to contact the dispatch center at (916) 264-5471 or Sacramento Valley Crime Stoppers at (916) 443-HELP (4357) or submit an anonymous tip using the free “P3 Tips” smartphone app. Callers can remain anonymous and may be eligible for a reward of up to $1,000. No Comment to " Sacramento Police Investigating Shooting That Left One Victim Dead, Another Wounded "